and set up a search on Autotrader. Within a couple of weeks I found myself going to look at one and then driving it away an hour later. I've owned the car now for 4 months now. And it's stunning. Think I've finally got Imprezas out of my system. Mine is the same as this - an R100 edition in Stratus Grey with the right bits in black rather than silver and some mega 20" Draco wheels. 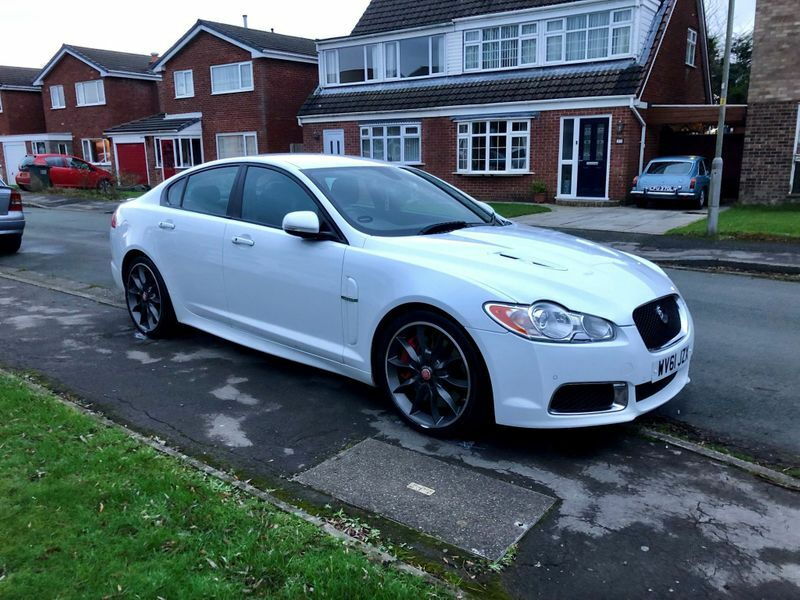 Anyone else gone down the XFR route? i do feel though that cars like these will have me bored within 6 months or so and that scares me away. Have to say..... I like that! Looks like a bit of a rocketship! All good so far. Although it's 8 years old. The car had only done 40k miles. Still, first thing I did was a full service at a Jag dealers. It had a clean bill of health. But will use an indy now as Jag dealers are extortionate. There is a really good user community too, which is great. The rolling acceleration is amazing. It doesn't bottom out high up the rev range and just keeps going and going as the super-charger winds up. With a V8 you can drive it look a go-kart or just pootle around. I like the discreet look too, and neighbours like the exhausts. Believe it or not at 60mph on the motorway it'll do over 30mpg, which I never expected. big old v8 @ 60mph will barely be ticing over i suspect so uses less fuel as a result. my mrs old man had one and i thought it was a bit muted, no v8 rumble and no supercharger whine which was a negative in my opinion. Believe it or not at 60mph on the motorway it'll do over 30mpg, which I never expected. My E63 will do 34 on a long motorway run, now driving around the city centre is a different matter. A normal home to work commute will average around 24mpg. Figures that none of the Subaru STI's I owned would ever have achieved. Absolutely nothing to do with me, but this is an R100 edition too and a silly amount of car for the money. At 50k miles it's probably just run in. 2.7L Anyone gone down this route yet? Who has gone the TD05 20G route???? Anyone else's Automatic Updates gone wrong. Has anybody gone down the leasing route? Quick Reply: Anyone else gone the Jaguar XFR route?